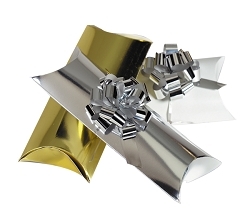 If you are looking for festive ways to present your gift certificates, we have got just what your looking for! This is a HUGE time for giving gift certificates, and people are always looking for a pretty way to present them as gifts. Gold and silver are perfect colors for the holidays! 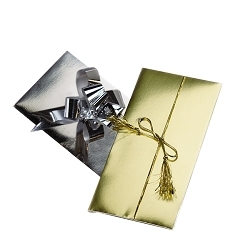 Your clients will love presenting their gift certificates from you with these delightful, stand-out holders!